Piera is global manager for agriculture at the Fair Labor Association and associated expert atEndeva – Enterprise Solutions for Development. She wrote her PhD thesis at the University of Zurich and CATIE, in Costa Rica, about the application of development approaches in Base-of-the-Pyramid Ventures. 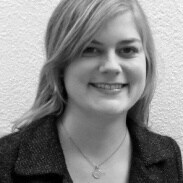 Originally from Switzerland, Piera has a Master and PhD in Economics from the University of Zurich. Before starting her PhD, Piera worked as a Senior Consultant forBSD. Not all supply chains are the same, and not all of them are limited to structured factories or facilities. Difficulties arise when monitoring labor standards in informal sectors, such as evaluating environmental or social standards. This was the driving force behind inclusive compliance. Does inclusive business mean that the poor are only included in “our” businesses? Or should it also mean that they have their own flourishing enterprises and we become integrated in their activities? What if the poor want to play a bigger role than being just instruments included in a process that was defined by outsiders? Guest Writer Piera Waibel writes about her PhD dissertation on Base of the Pyramid business models, and calls interested companies to participate in a survey.